Now you can have a Shawn Mendes Signed Photo on your wall. 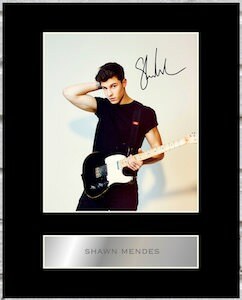 This is a photo of Shawn Mendes and it has a printed autograph on it and he is holding a guitar. 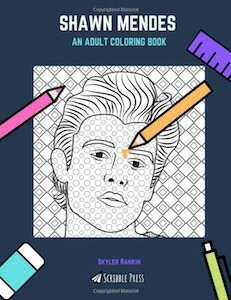 The photo of Shawn is placed on a black background and below the photo it has a name tag so that anyone that has been living under a rock will also know that the photo is of Shawn Mendes. The whole mounted photo piece will fit a 10 x 8 inch frame and then you can find it a really nice spot on a wall in your bedroom or house.